Job oportunity as Furniture Designer! 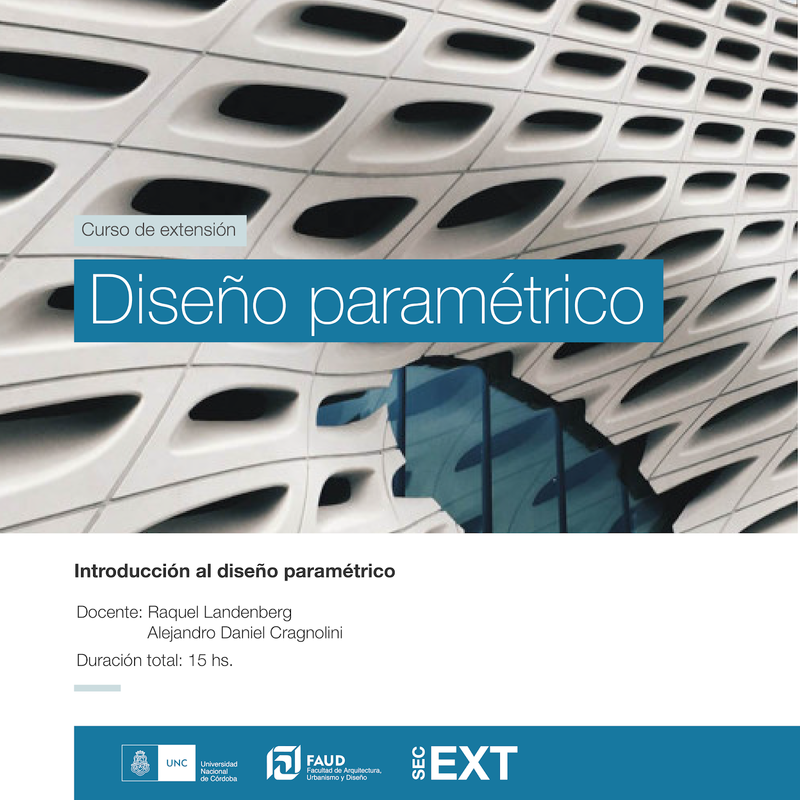 FAUD invites you to join their workshop "Introduction to Parametric Design" in Cordoba, Argentina. The workshop is focused on architecture and industrial design. It will show the strengths of the digital design process, its applications, and uses. 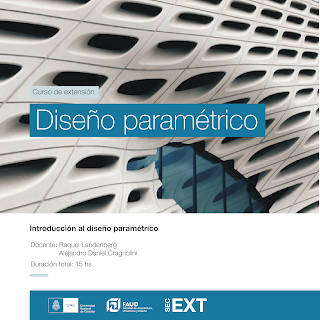 The course is based on practical hands-on experiences using Rhino and Grasshopper software. Time: From 6:30 a.m. to 9:30 p.m.
Place: FAUD Facultad de Arquitectura, Urbanismo y Diseño Cordoba, Argentina. Please pay the fee at the Economic Area of the Ciudad Universitaria campus. Hours: Monday to Friday from 9 a.m. to 1 p.m. and from 2:30 to 6:30 p.m.
For more information, please contact Raquel Landenberg. What is RhinoFabStudio? A RhinoFabStudio™ (fabrication studio) is a small-scale digital workshop, certified by McNeel, with an array of Rhino and Rhino compatible software and computer controlled tools and training. These tools cover the various leading-edge industrial methods and materials needed to design, analyze, and fabricate almost anything. Reception desk. Photo by Oliver T. Edwards. Siemen Cuypers was one of the designers on this fun project, the Technical Museum Foyer. It’s the recently opened reception and shop of the technical museum in Oslo. Using Rhino to create the structures, Siemen Cuypers did the 3D-modeling and CNC file preparation, and part of the CNC production. He provided assembly guides for Artisan Tech, the skilled people assembling, installing, and finishing the structures. See more illustrations, details, and photos, including a moose for your shoes.